I decided to make an egg cosy for a little girl’s birthday present this week. 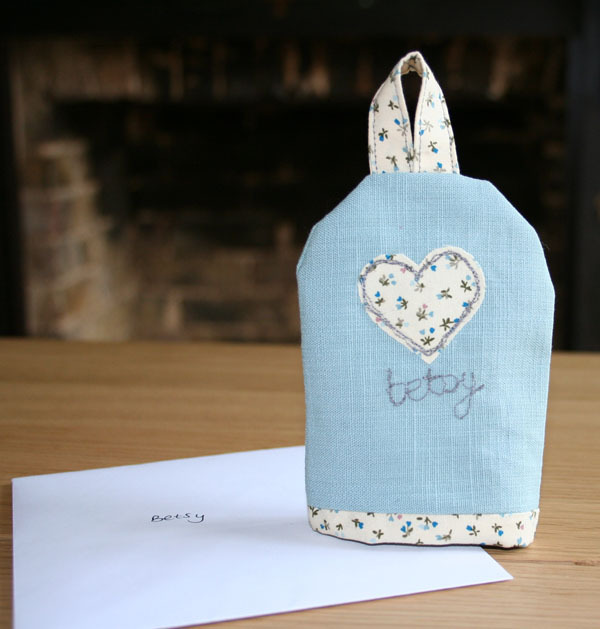 Okay so it’s not the latest expensive girly toy but it’s hand-made, personalised and I had fun making it while the boys played with their friends… It’s good practice for next week too, when I’m planning on machine embroidering my pictures onto the pile of tea-towels I have. Not sure they’ll be so easy but just as much fun.